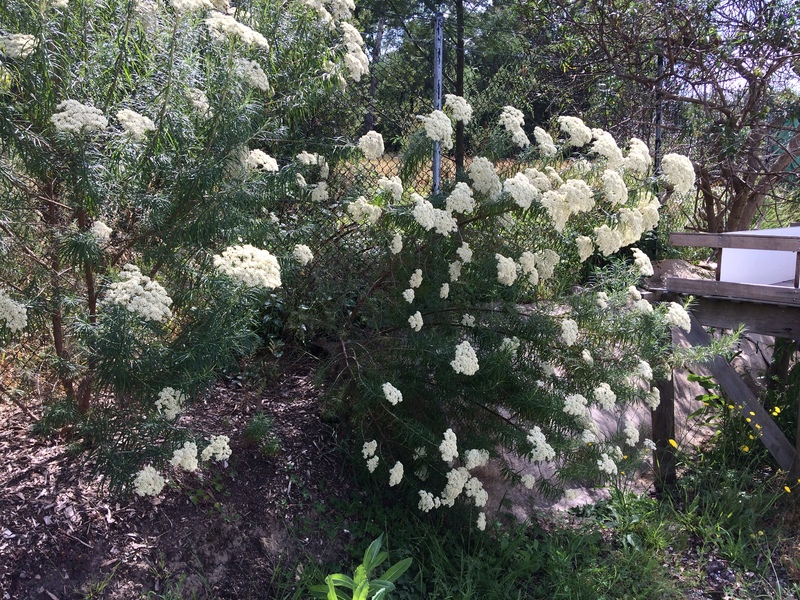 Looking for a plant that looks spectacular and can cover a boring fenceline? 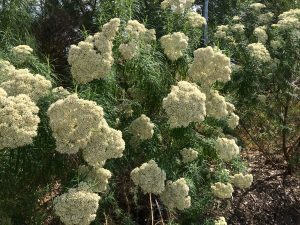 Cassinia longifolia is one answer. 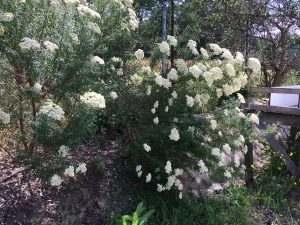 Cassinia longifolia – A great shrub for screening and looks spectacular when in flower. 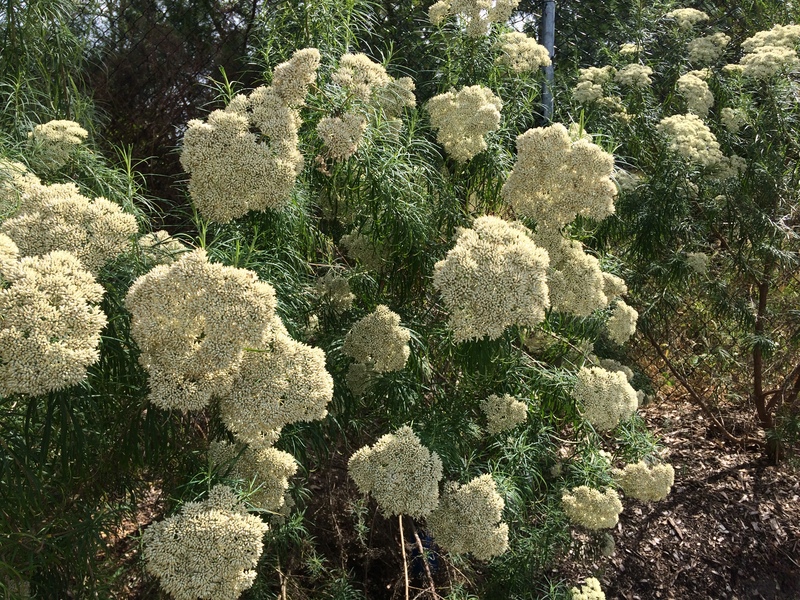 Cassinia longifolia grows from 2 – 4 metres tall and 2 – 3 metres wide. It is fast growing, great for creating a screen, and copes with a bit of sun but will also grow well in the shade. It is a butterfly nectar provider and the flowers can be cut and dried. This shrub likes a good prune after flowering to maintain shape and prevent woodiness. We have plenty of tubestock of this beautiful plant available at the nursery. Come in and check out what we have.